cereal coupons stock up deals Tops Tops Markets Tops: Save Big On Cereal This Week With Instant Savings & Doubled Coupons! 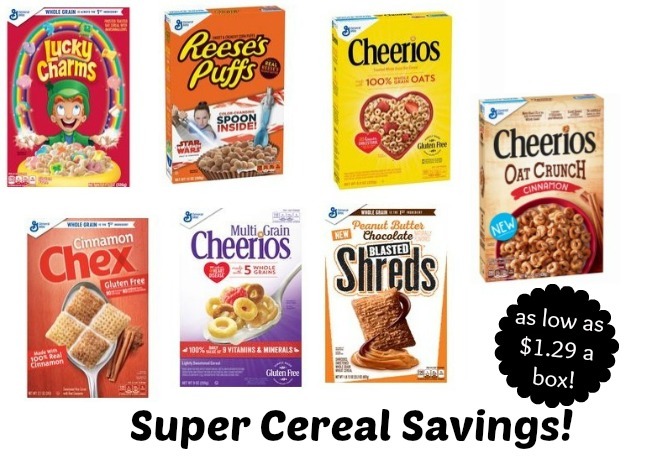 Tops: Save Big On Cereal This Week With Instant Savings & Doubled Coupons! This week at Tops you can save big on General Mills cereals and even moreso with the new printable coupons available to us! When you buy 4 General Mills cereals in one transaction at Tops through July 7th, you will receive a $4.00 savings at the register instantly! That is equal to $1.00 off per box. Pair that with the doubled printable coupons for another $1 to $1.50 in savings. Here are the deal ideas! To pre-clip all General Mills cereal coupons, click here. You can easily unclip any you don't want to print. Buy 4 General Mills Cereals, receive a $4.00 instant savings at the register ($1.00 off per box)! = $1.49 with doubling & instant savings on 4! = $1.79 with doubling & instant savings on 4! = $1.99 with doubling & instant savings on 4! = $1.29 with doubling & instant savings on 4!